When Gillian Murray Kendall was a child, she spent multiple years in England while her father researched his biography of Richard III and her mother wrote children’s books. She thrived. She had stumbled into a wardrobe, and her enchanted world was England. That sense of belonging-in-the-strange shaped both Gillian’s life and her writing. In the 1980s, the months and months she spent in Africa waiting in lines for kerosene and milk and rice or camping while being circled by annoyed lions was a new normal, while Gillian found the once-familiar Harvard, with its well-stocked grocery stores, alien and unknown. She saw things in a way she could not before. 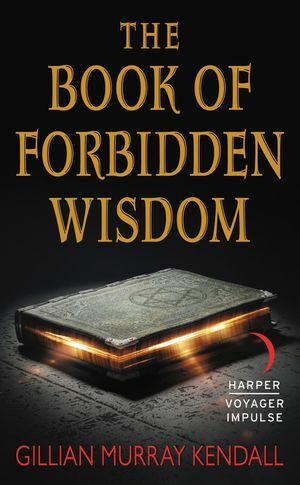 Recently Gillian spent two years in Paris, where learning a new culture, a new strangeness, resulted in the writing of her first book, The Garden of Darkness, and the beginning of The Book of Forbidden Wisdom. She heartily recommends being knocked off one’s feet by the world. Gillian teaches English literature, primarily Shakespeare, at Smith College and is married to biologist Robert Dorit. She has two sons, Sasha and Gabriel.